John Krasinski, who directed, co-wrote and stars in the superb A Quiet Place, might get more respect next time he arrives in England, where he is regarded — or recently was, by a customs official at the airport — as little more than Mr Emily Blunt. 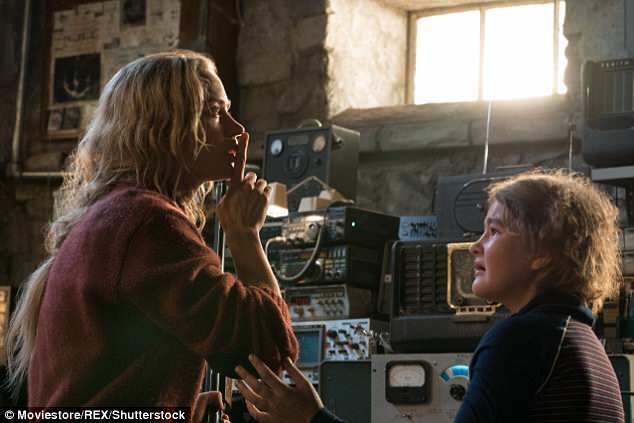 His wife of eight years also stars in A Quiet Place, and moreover is going to be the new Mary Poppins, so, spit-spot, maybe there’s no escaping her shadow. But there’s no doubt that Krasinski, with this film, announces himself as a serious creative talent. A horror-thriller as taut and tense as a high wire, it runs for just 95 minutes, but plunges us into a terrifyingly believable world in which monstrous aliens, without sight but with extraordinarily sensitive hearing, have taken over the planet (or anyway the United States, which to American film-makers counts as the same thing). In Anthony Buckeridge’s Jennings books that I loved as a child, one of the teachers at Linbury Court school possessed something the boys called ‘supersonic ear-sight’. That’s what these monsters have. If they hear you, they will pounce from nowhere and devour you.